Researchers have speculated that gravitational waves point to the chance of the existence of multiple universes. Gravitational waves have pervaded space with a special energy that applies a revolting force, triggering the universe to inflate faster than the speed of light for an enormously violent instant. The expanding procedure smoothed out the wrinkles and irregularities, cracking the paradox of why the skies look even from pole to pole. First revealed by physicist Alan Guth in 1979, the presence of gravitational waves was confirmed by radio astronomers previously this year who stated that they had seen the foundation of the Big Bang, approving his theory, recognized as inflation. 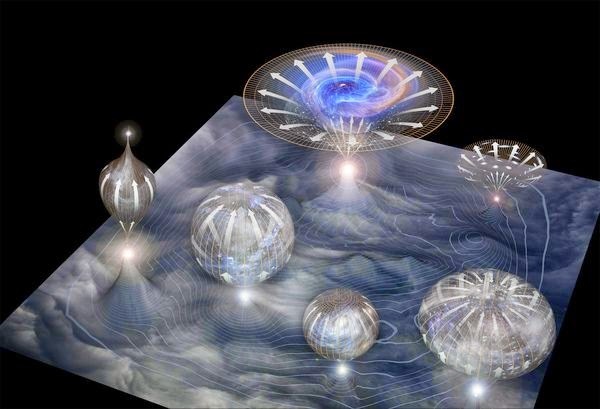 Guth is presently the Victor Weisskopf Professor of Physics at the Massachusetts Institute of Technology, if confirmed by peer analysis, might support doubts that there really are another or parallel universes present together with ours. According to Guth "there's still certainly research that needs to be done. But most models of inflation do lead to a multiverse, and evidence for inflation will be pushing us in the direction of taking [the idea of a] multiverse seriously."